If you have not invested in banner advertisements, you are missing an opportunity to reach many potential customers. 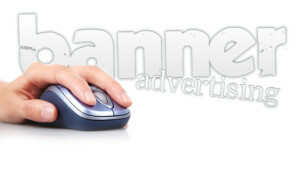 Many businesses are hesitant to use banner ads because they worry they are too expensive for their effectiveness. Other times, businesses have only seen banner ads that are flashy and tacky, which is not how you want to represent your business. The biggest failure for websites using banner advertisements will come when the advertisements are put on pages that are irrelevant to their content. This mistake is a double whammy. When you (or a social media management company) opt to link your business website with other sites that do not cater to a similar audience base as your business, you are wasting money and your website’s reputation may suffer in search engine rankings. 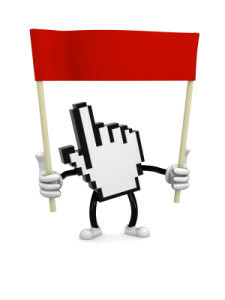 The purpose of banner advertisements is to draw potential customers to your website. If you pay to have a website promoting veganism use your banner ad selling leather purses, you are not likely to garner much of an audience and your money and time are wasted. One way that search engines determine what users are looking for and how high the websites rank in the search results is the amount of quality links. Links (including banner ads) that are determined not to be relevant will not boost your websites ranking. Are you worried that your banner advertisements are going to be more annoying than effective? Follow a few simple rules when designing a banner ad and you will have an effective marketing tool that is not going to give anyone a headache. Check the spelling: Make sure your business name and any other copy on the advertisement is spelled correctly. Check your grammar and punctuation as well. Check contact information and links: The banner ad is not going to be very beneficial if those interested in learning more about your business are not able to find you. Click the link several times and try it from different devices to ensure that it works. Color: Banner ads should draw attention and bold colors will do just that. However, a bright red background with yellow text and flashing letters can persuade people not to look at your sight because it comes across as cheap and untrustworthy. Simple is better. If you use a bold background, leave out any flashing objects and opt for a simple text color and size. Readability: You font should be significantly larger than what you would find in the ordinary body of a website. Choose fonts with serifs and a font that is either much darker or much lighter than the background. For example, black font on a blue background is going to be difficult to read. Communicate: You only have so much room and so much time. Do not fill your banner ad with text. Try to communicate your intent with a short message and an image. When readers look at advertisements, they are not likely to spend more than a few seconds deciding whether it interests them or not. Make those few seconds count. Banner advertisements are a simple way to draw traffic to your website and they are a more aggressive form of marketing. Depending on the sites you target with your advertisement, your click rates may be quite low for a while. Because payment usually depends on the number of clicks your ad gets, this can be good for your wallet, but not your business. If your goal is to just get your name out in the public, banner advertisements can be a cost effective method of letting people see a snippet of your brand. You will need to be patient, as most click ads will not draw a lot of traffic to your site at one time. Think of banner advertisements as longer-term investments. You can increase the number of clicks your ad gets by ensuring that the advertisement representing your business is high quality and linked to sites where people who will want what you have to offer are most likely to see it. To get the most wow for your dollar, consider opting for Real Time Bidding (RTB) banner advertising. This type of advertisement targets specific visitors. This type of banner advertising is much more effective and has higher rates of success than typical banner ads. If you are interested in the RTB approach to banner advertising, some coding is required on your website to allow the collection of snippets of information about visitors. This information helps tailor banner advertisements. That data takes your banner ads and directs them at people who have already visited your site while they are trolling the web elsewhere. Remember there is a lot of work that goes into creating, designing and finding the right niches for your banner. While it is possible to do the work on your own, it is time consuming and can be confusing. Add on some SEO NYC by coding requirements for specific types of banner advertisements, and managing your own display ads can quickly become overwhelming. Hiring a professional is likely your best option in this case.